In the midst of major industry shakeups and rule changes, the 2017 Nascar season has finally started moving. 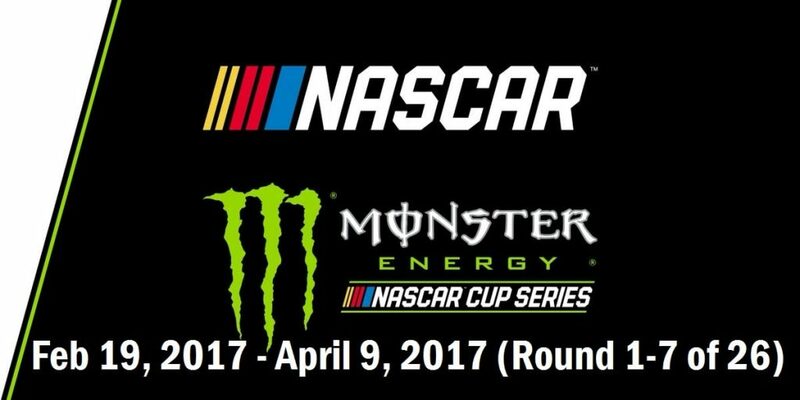 Officially designated as the 2017 Monster Energy NASCAR Cup Series, this marks the 69th season of professional stock car racing in the United States. It is also the 46th modern-era Cup series season. It all began with the Daytona International Speedway with the Advance Auto Parts Clash, the Can-Am Duel qualifying races and the 59th running of the Daytona 500. This year we will see it all culminate with the Ford EcoBoost 400 at Homestead-Miami Speedway. With the STP 500 kicking off our April it reminded us at Endurance that we may only be 4 months into motorsport season, but we are about 1/6th of the way through it. So let’s recap as we get ready for April 9s O’Reilly Auto Parts 500 event! The STP 500 at Martinsville Speedway delivered the excitement for this season of NASCAR that fans have been demanding all year. And it was none other than superstar Brad Keselowski who found a way to capitalize on that excitement and win his 23rd Monster Energy NASCAR Cup Series (MENCS) career win and his second win of the season. He gave Ford their first win at ‘The Paperclip’ back in 2002 and like back then this new win did not come without some effort. Thanks to the new points system he had to overcome a speeding penalty on lap 72, but luck was on his side when he hit 109 when a caution flag fell. He took a massive gambled by staying out under caution and retaining the top spot for the upcoming restart. This season’s other big name, Kyle Busch was leading the late stages of Sunday’s race, but soon Keselowski caught Busch with 42 laps remaining. Many fans expected to see Busch across the finish line first since he had dominated most of Sunday’s race alongside Keselowski. Sadly, Busch couldn’t give Joe Gibbs Racing (JGR) their first win of the season. As of this stage, only Toyota has one win to credit for the season, also with only two JGR cars in the top sixteen in points, so commentators aren’t messing around when they urge them to step up their game. Lucky for them, September is a long ways from now. Meanwhile Hendrick Motorsports showed a few signs of moving up this early in the season since they took a stage two win and a third place finish with Chase Elliott. Elliott, who is NASCAR’s current rising star, has shown consistency all 2017 season with two stage wins and is second in the points standings. Then came the O’Reily Auto Parts 500 and the biggest surprise of the season yet: winner Jimmie Johnson. Johnson hasn’t shown up in the standings this whole season until now with the April 9th race in Texas Motor Speedway seeing him win his first NASCAR race of the season. It was notable because he took lead with 15 laps to go, passing Kyle Larson. who finished second while Joey Logano, Kevin Harvick and Dale Earnhardt Jr. ended the top five in that order. This upset is also Johnson’s seventh career win at Texas Motor Speedway and this marks Johnson’s 16th straight year with at least one win, considered to be the longest active streak in Nascar. Why was this an upset? For one thing most fans and commentators took to social media to deride Johnson for his rather slow start in the early stages. Meanwhile Larson marked his fourth runner-up finish of the year and still dominates the NASCAR point standings (315) with a 17-point cushion between him and Chase Elliott. However, another note was that Ryan Blaney owned much of the day, leading a race-best 148 laps. Blaney even won the first two stages of the race, but fell behind after a long pitstop. That pitstop was the least of his worries sincee Blaney’s car ended up colliding with Corey LaJoie, leaving Blaney to finish 12th. Next week will be the Food City 500 in Bristol Motor Speedway in Bristol, Tennessee on Sunday, April 23rd.